In 2009, we were asked to review how Southern Co-operative could cut its energy usage and costs by reducing the running and maintenance costs of its current lighting systems. We spoke to numerous lighting manufacturers and selected Vision Accendo to help design and produce a viable solution using a new LED product. 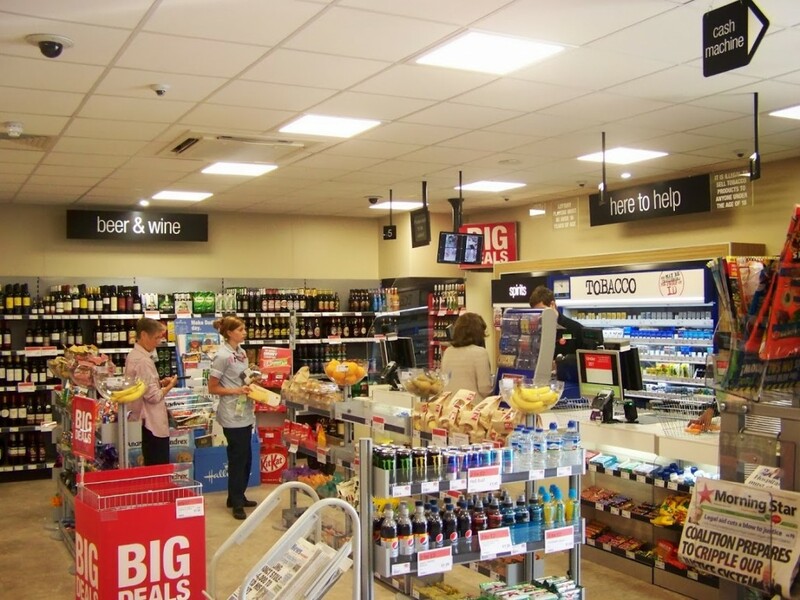 After this successful two-year rollout, Southern Co-operative wanted a new, clean looking lighting solution that improved lighting levels, enhanced the overall ambience of their stores and still achieved the energy and ongoing maintenance savings; so we enlisted the support of Spurlite. This store has a standard installation using Spurlite 41w Reflecta LED panels for general lighting, 15.2w 5000k DOT fittings to highlight internal perimeter signage and 15.2w 4000k DOT fittings to highlight ISB product shelving.